It’s summer. The kids are bored and Father’s Day is coming up. 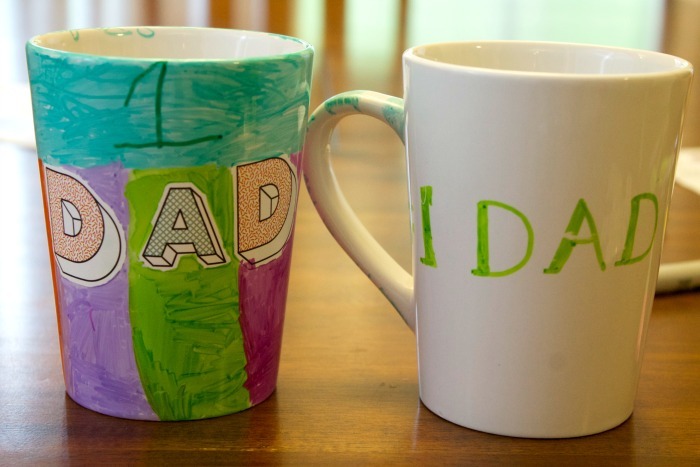 So why not kill two birds with one stone and let your kids make a gift for dad. 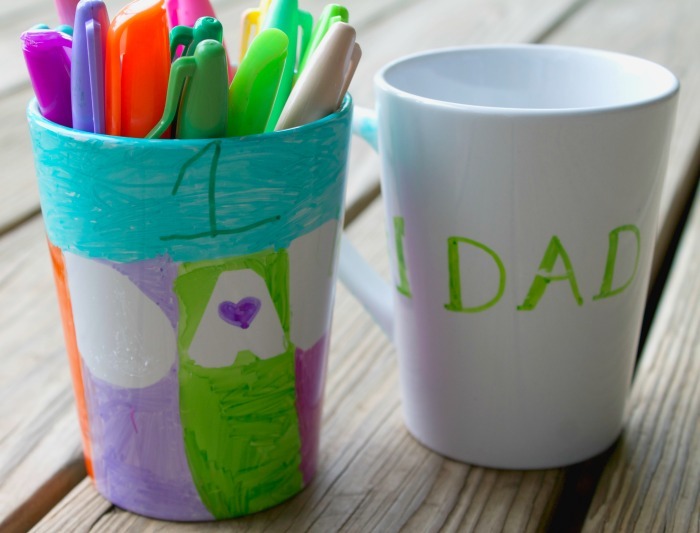 This sharpie mug is the perfect easy kids craft for Father’s Day and makes a great gift for dad on that special day. You only need a few things to make this cute Father’s Day gift. First you need the mug. You can get a plain white mug at your local Dollar tree. Next you’ll need lot’s of sharpies. 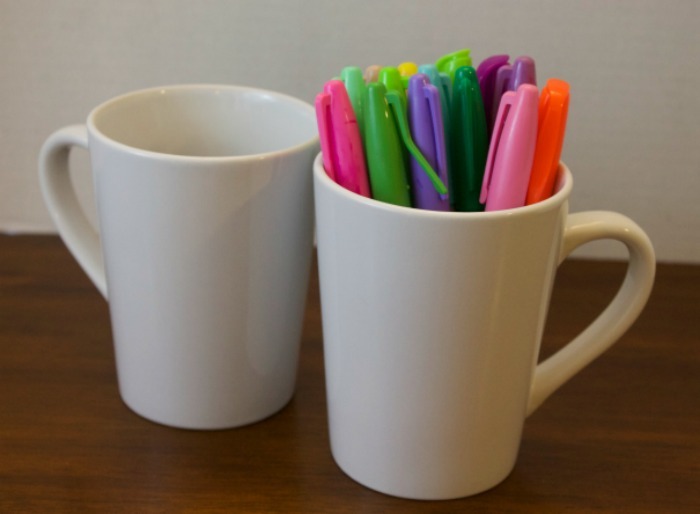 Make sure you have a variety of colors to really make your sharpie mug stand out. This is the fun part. 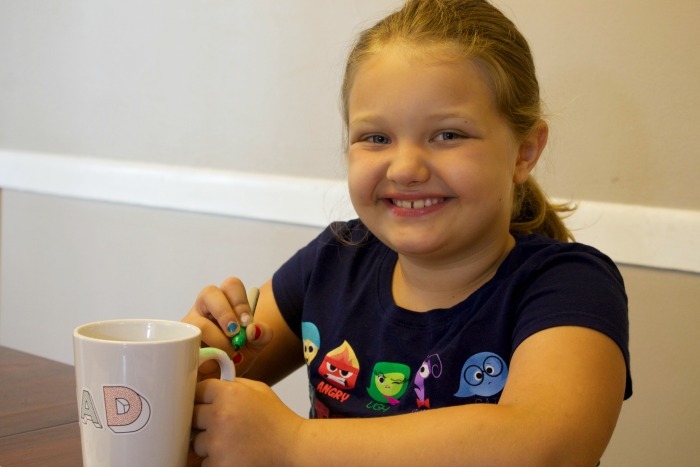 Your child can color whatever they want to on the cup. We used some stickers to spell out DAD and then my daughter colored around it. After she was done coloring we took the stickers off and it make a really cool outline of the word dad. After your child is done with their sharpie mug place it in a COLD oven. It’s very important that you not put it into a warm oven or the cup might break. Next heat the oven to 350 degrees and let the sharpie mug bake for 30 minutes. Turn the oven off but DO NOT remove the mug until the oven has completely cooled down. This is very important because again, it will crack or break if you take it out too soon. 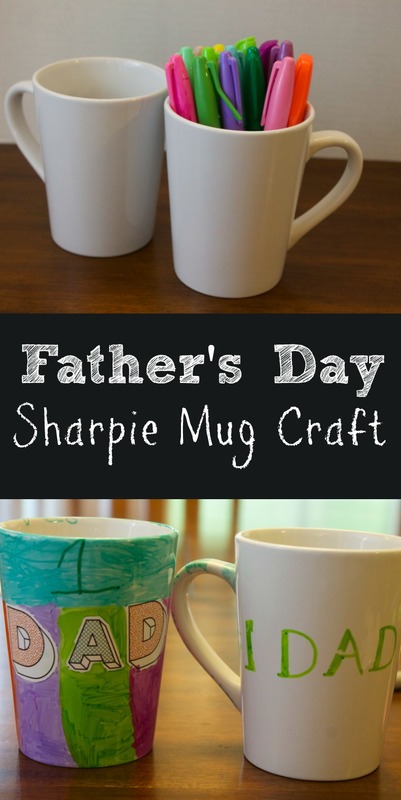 I just love homemade gifts and I think that these Sharpie mugs are really the perfect gift for dad this Father’s Day. You can add some sweet treats inside or fill it with some things that you know dad will like. You could even add some specialty coffee. I’d love to see some of your sharpie mugs and how they turned out! Be sure to leave me a comment or you can send me an email with a picture. They look awesome! How did they wash? Are the sharpies oil based or just regular sharpies? Thanks for posting! I have never tried this so I have the same questions. With my parents birthdays coming up I have a short time to experiment with it. I will let you know what I find out. Can the mugs be spray with a sealant instead of putting in the oven? I’m not sure I’ve only sealed them by putting them in the oven.